In-home care is more comfortable for patients, lowers the risk of infection, lessens the likelihood of future hospitalizations, and improves quality of life. Skilled home care helps people feel better, recover from a surgery or illness, function more independently, and learn to take care of their health needs. After your physician orders skilled home care services, we will work together with you, your family, and your physician to improve your health, increase your independence, and enable you to stay safely in your home. Our team has worked in conjunction with physicians to develop specialty programs to assist patients with managing conditions, surgeries, and diseases at home including – rehab for orthopedic surgeries, fall prevention, dementia care at home, behavioral health, cardiac care, and programs for senior communities. Interested in learning more about our specialty programs? 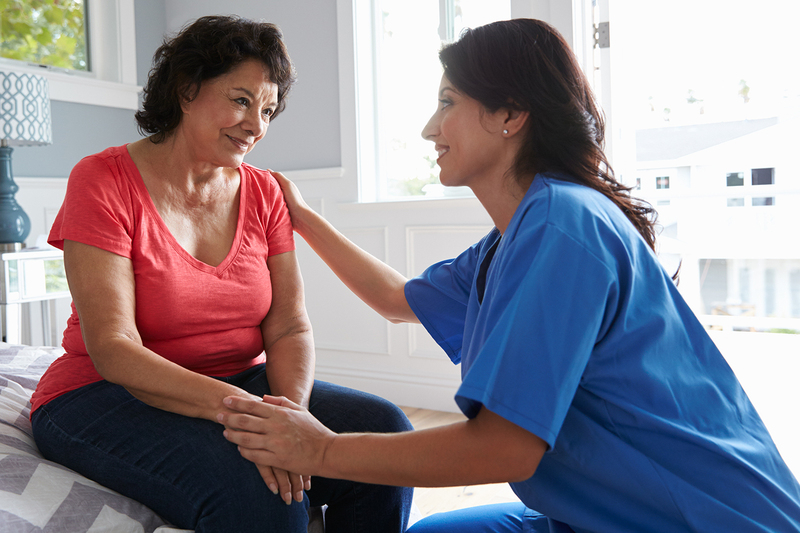 To ensure optimal clinical outcomes, Diamond Home Care focuses on efficient transitions from care facilities to the home environment, expedient opening of cases, person-centered care plans, effective communication, and education of patients and their family caregivers. Want to learn more about our clinical outcomes? We accept many different types of insurance plans for skilled home care services. Once your doctor orders home care for you based on your home-bound status and condition, we will verify that your insurance covers home care. We accept auto cases and veterans cases. Learn more about insurance for home care.